1. In a medium bowl, combine the lemon juice, olive oil, yogurt, garlic, salt, sumac, cinnamon, and red pepper flakes. Add the chicken, cover, and marinate for at least one hour and not more than one day. 2. Heat the oven to 500°F with a rack positioned in the upper third of the oven. Line a sheet pan with parchment or non-stick foil. 3. 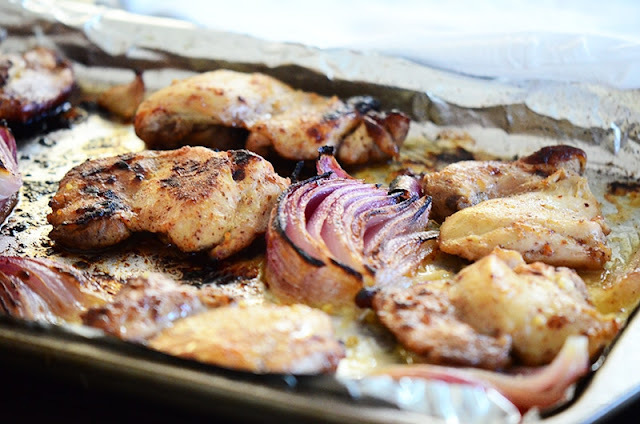 Toss the red onion with the chicken in the marinade, then place the chicken and onion evenly on the sheet pan, discarding the marinade. Roast for about 30 minutes, flipping the chicken halfway through cooking, until the chicken is nicely crisped around the edges and golden brown. Broil for a few minutes to get the chicken caramelized, if needed. 4. Immediately slice the chicken into ¼-inch strips, then lay them over a bed of rice. 5. 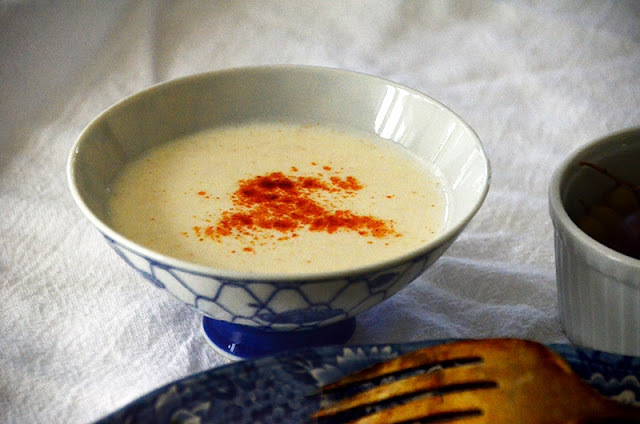 Make a quick yogurt sauce by whisking the yogurt with cayenne and salt. Adjust seasonings to taste. 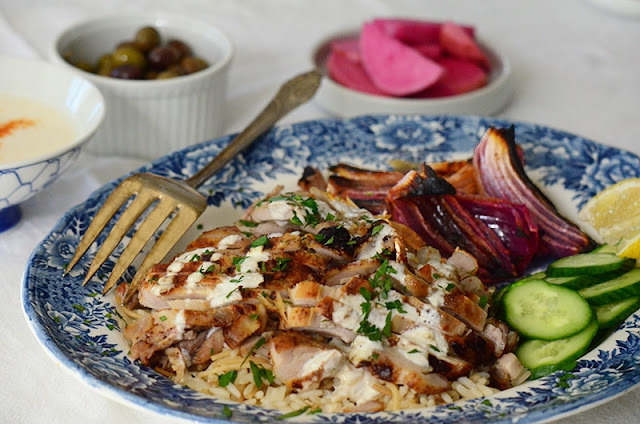 Drizzle the sauce over the shawarma, and sprinkle with parsley. 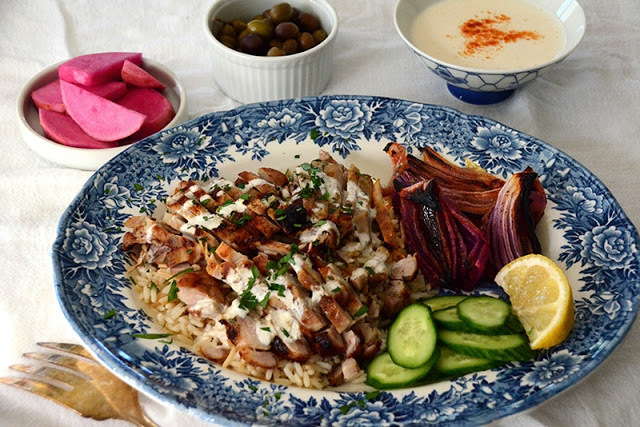 Serve the shawarma hot, with the roasted onions, olives, pickles, cucumbers, and bread on the side.